The case of British computer scientist Alan Turing, who submitted to chemical castration in 1952 to avoid imprisonment for homosexuality, exemplifies why a judicial system should take the long view before resorting to drugs to alter a person's behavior and biology. 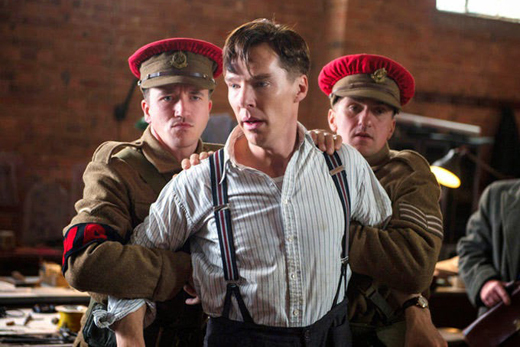 Benedict Cumberbath, above, portrays Turing in the upcoming movie "The Imitation Game." Alan Turing was a hero. He was a mathematician who played a key role in the development of computer science and artificial intelligence and, during World War II, he led Britain’s German code-breaking team, cracking secret messages that gave the Allies an edge in critical battles against the Nazis. Turing was also a homosexual. In 1952 he was prosecuted for having a sexual relationship with another man, a crime at that time in the United Kingdom. In order to avoid prison, Turing underwent chemical castration: Injections of a drug that took away his libido, while also causing him to have enlarged breasts. His death two years later from cyanide poisoning was ruled a suicide. The Turing tragedy is just one of many examples of a legal neuro-intervention: The use of a drug or other medical means to change someone’s behavior – sometimes permanently. Despite a problematic past record, a range of such interventions are poised to expand within the legal system and could even become routine. The conference Neruo-Interventions and the Law: Regulating Human Mental Capacity will gather leading legal scholars, judges, ethicists, neuroscientists and psychologists at Georgia State University September 12-14 to grapple with some of the thorny legal issues being spurred by advances in neuroscience. Registration is free, but there is limited seating.